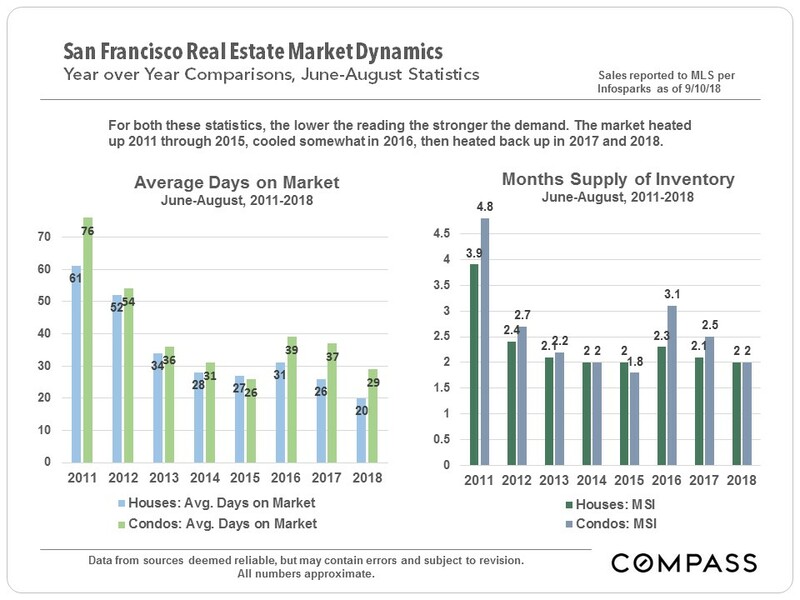 These 2 charts below compare the June-August periods for the last 8 years. 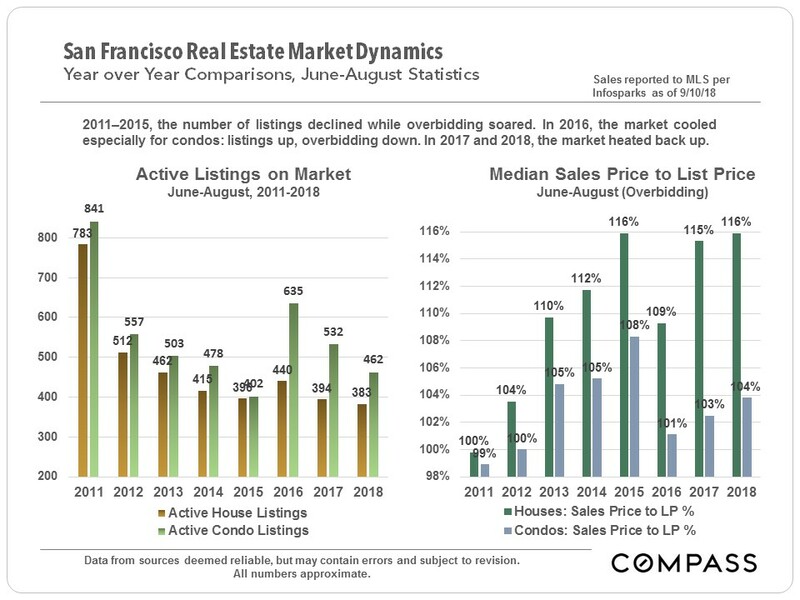 These statistics have been moving in parallel during this period, which make them more trustworthy as true indications of market trends. 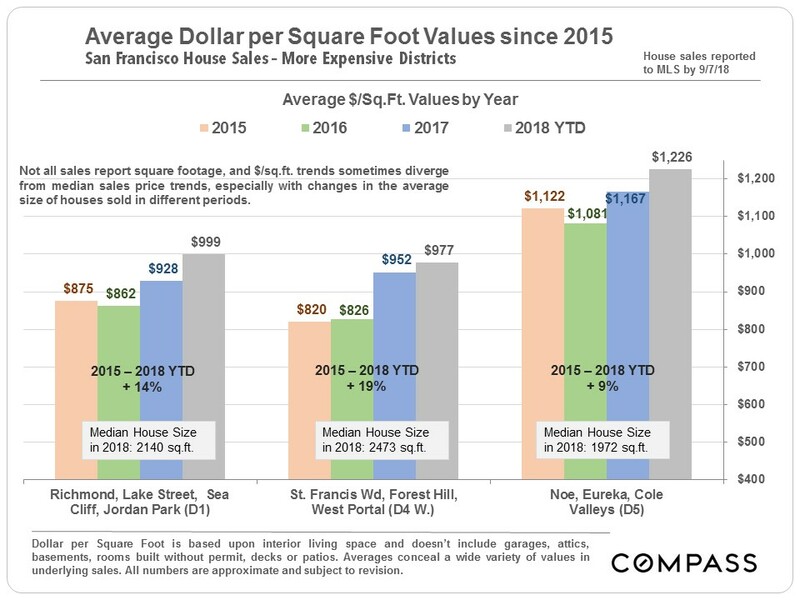 In these neighborhoods, large bursts of appreciation have been common in recent years, as the pressure of buyer demand shifted to a search for affordability. 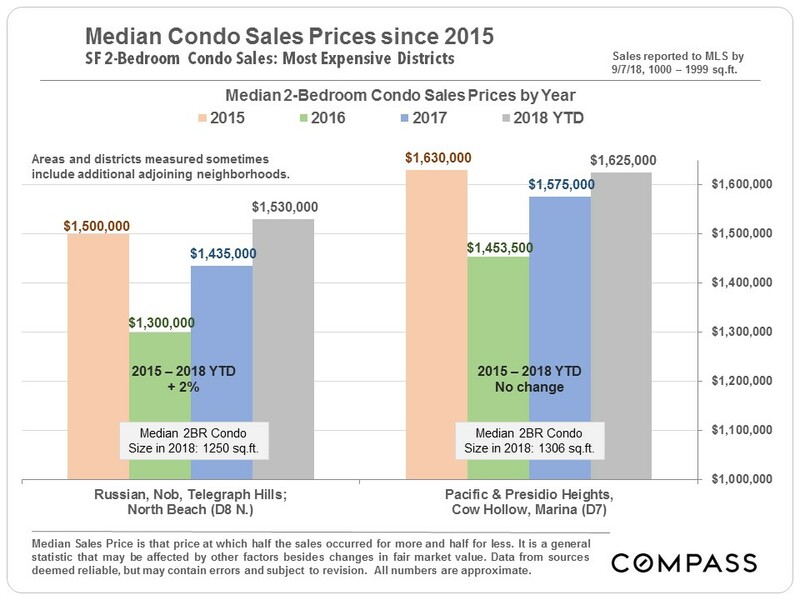 As with houses, the most expensive neighborhoods for condos have seen limited or no appreciation in median sales prices since 2015. 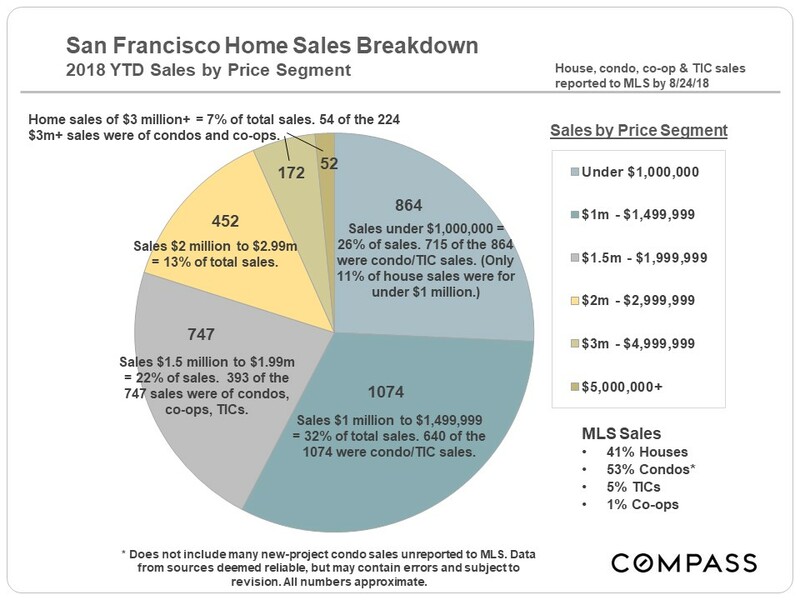 The large South Beach-SoMa-Mission-Potrero Hill-Dogpatch district has been ground zero for the greatest number of large new-condo projects coming on market. 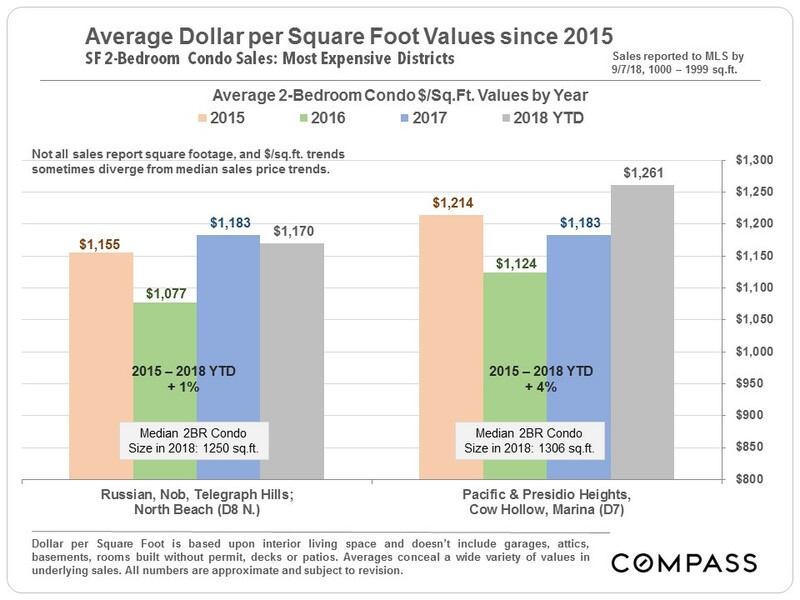 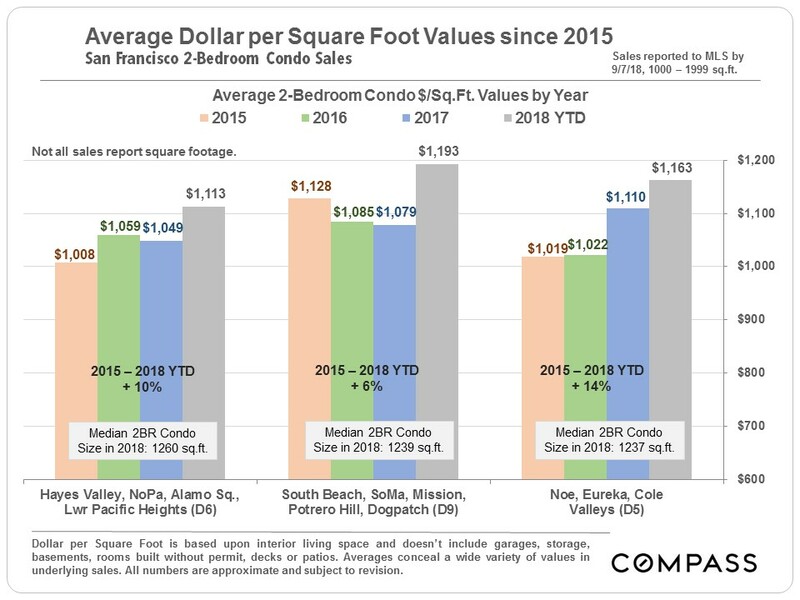 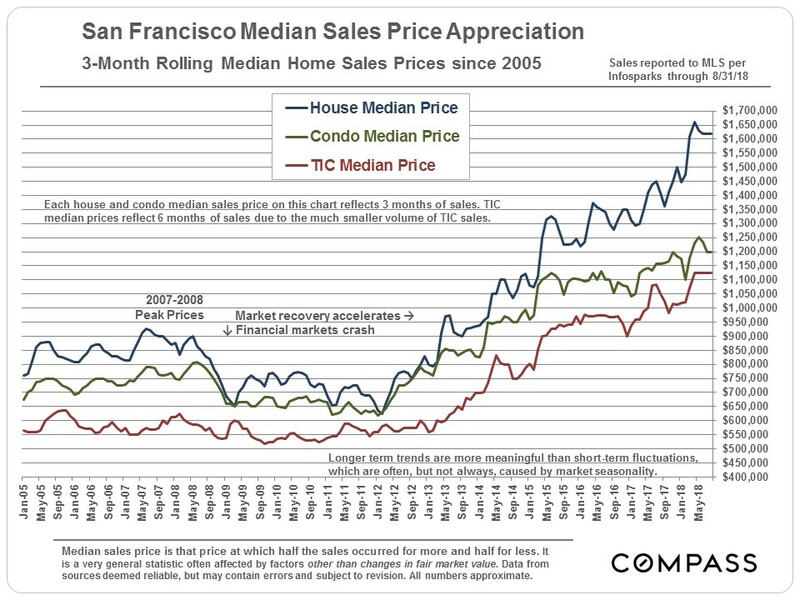 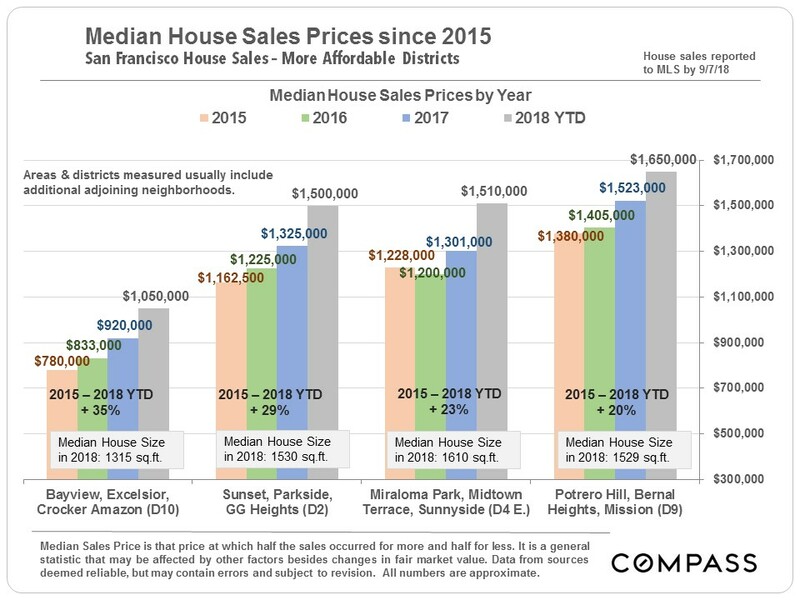 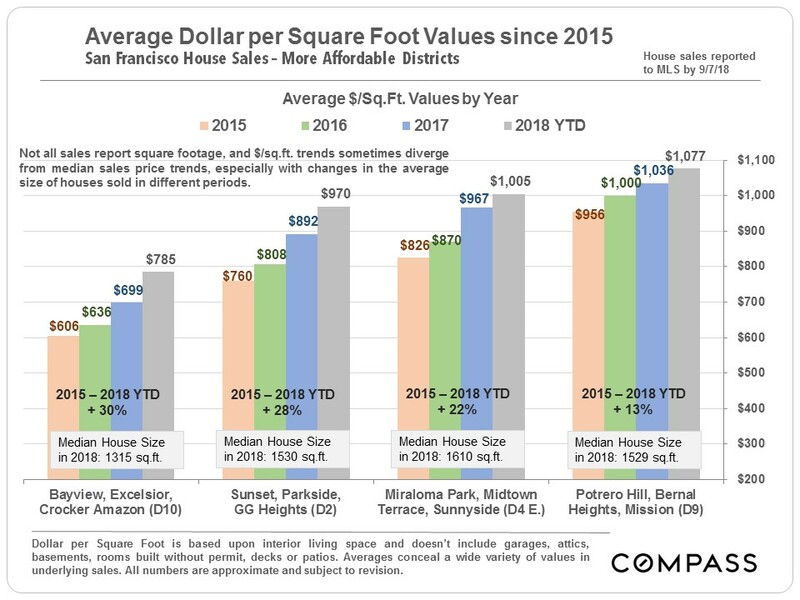 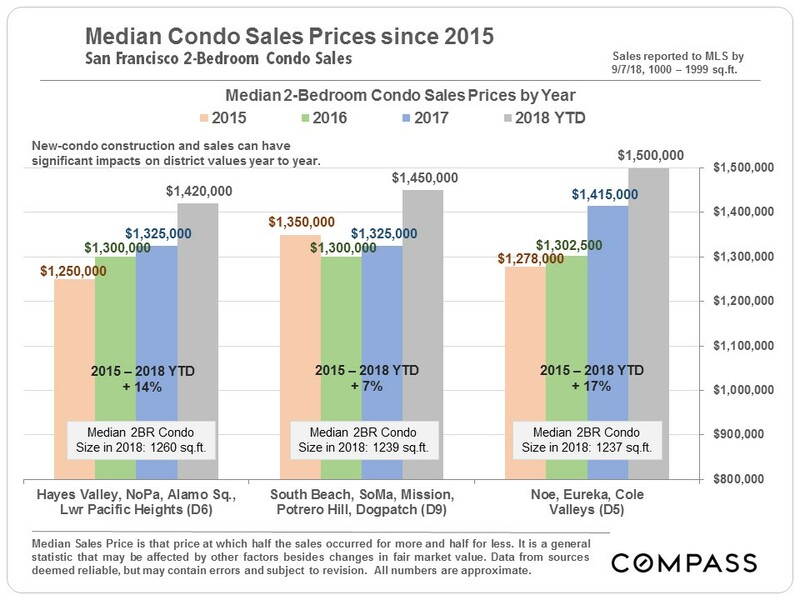 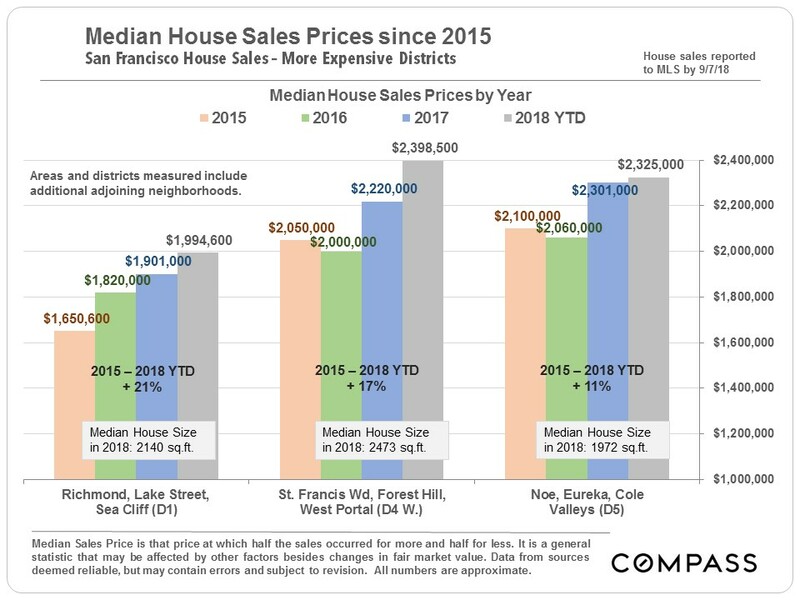 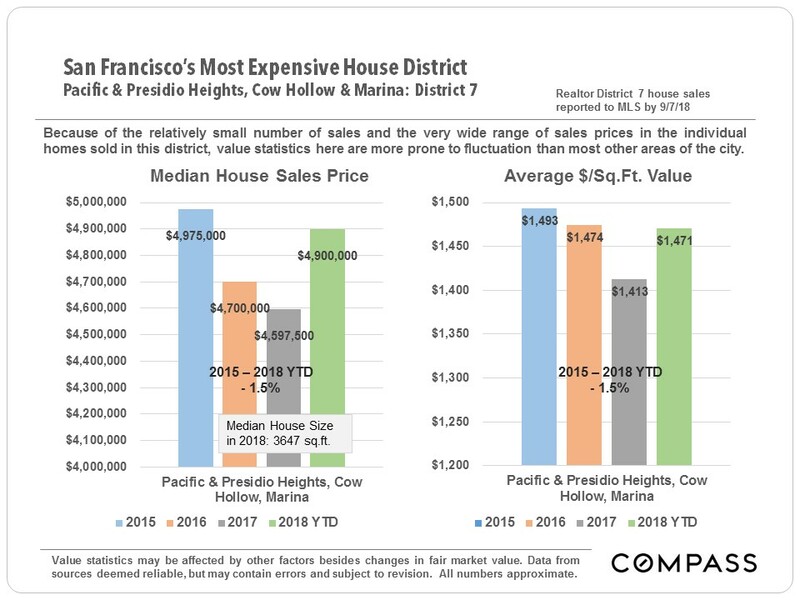 That led to a drop in median sales price in 2016, but in 2018, prices jumped dramatically in all 3 districts illustrated below. 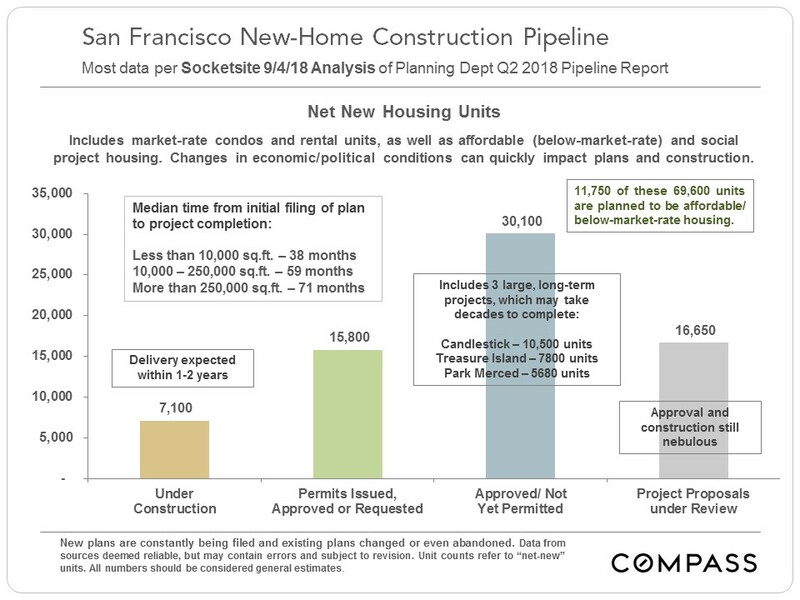 The number of units somewhere along the line in the SF Planning Department new housing pipeline hit almost 70,000 in Q2 2018, however developers face increasing challenges in land and constructions costs, reportedly the second highest in the nation, as well as issues pertaining to affordable housing requirements, neighborhood activism, possible increases in rent control measures, and the lengthy review and approvals process. 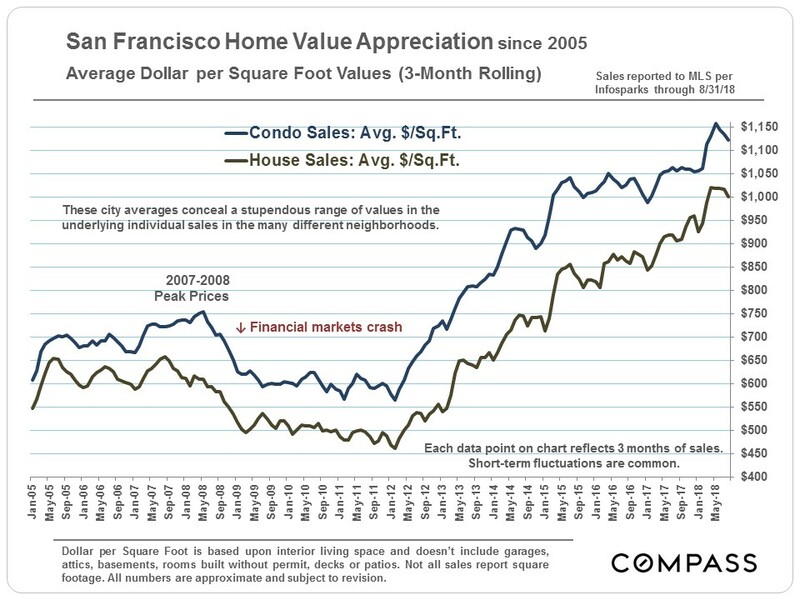 The outlook in new housing construction can shift very quickly if economic conditions change. 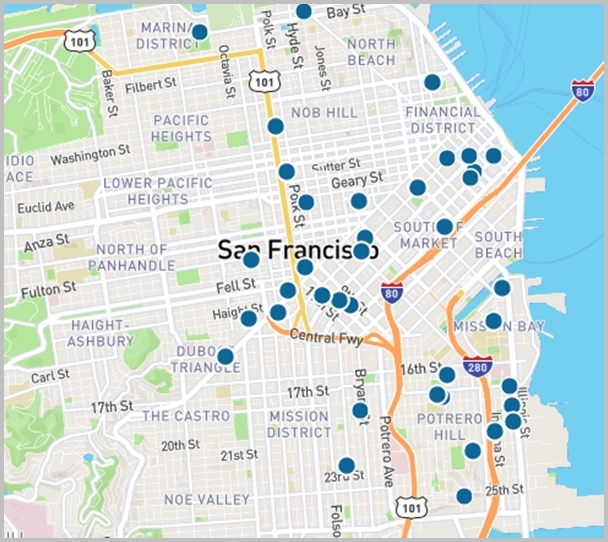 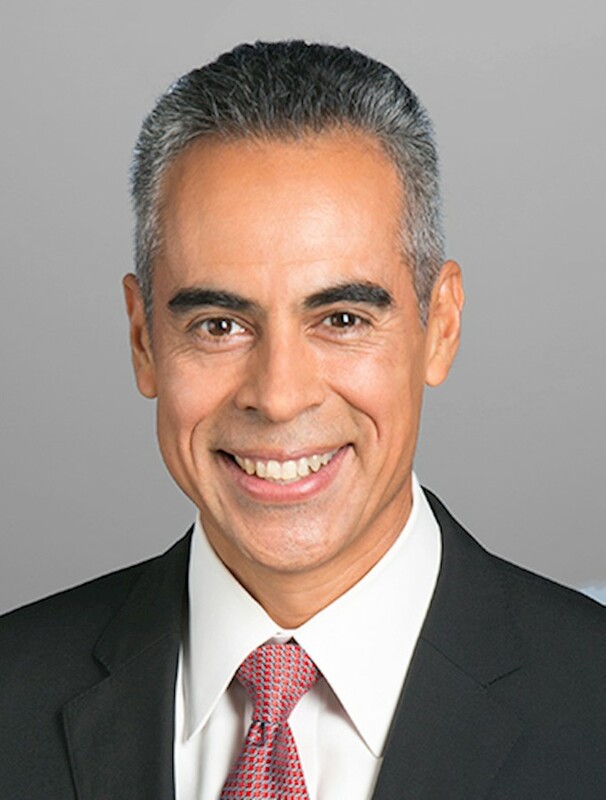 The main areas for new home construction – of both condos and apartments – are the greater South Beach-SoMa-Potrero Hill district, and the Market Street and Van Ness Avenue corridors. 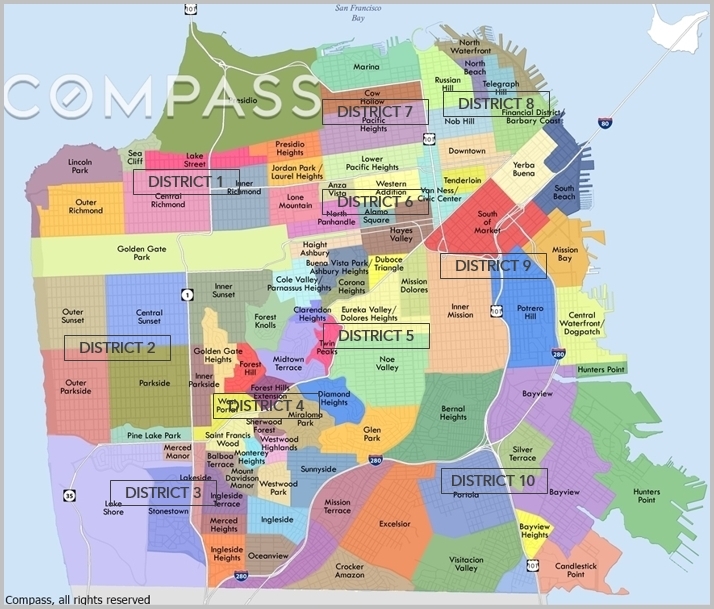 These are the areas where large, previously commercial-use lots can be used for building large projects, and where zoning often allows for much taller buildings.